The Goan Village Goa is meant for those who want to experience comfort and leisure minus the exorbitant expenses. It does this very nicely and in more than an adequate manner. Or else you can check Goa hotels rates near beach and can compare all prices and finally will know the reason, why we are emphasizing on Goan Village. 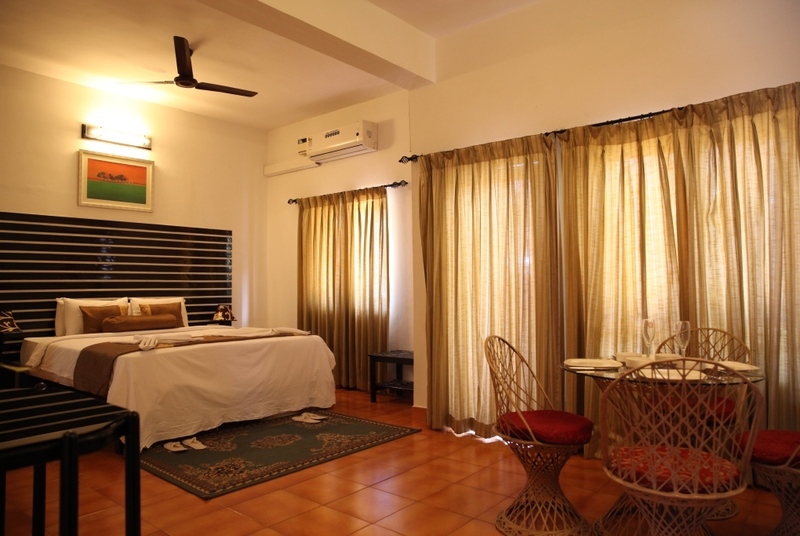 There are 28 rooms available for guests at this beautiful three star hotel near Candolim beach. Rooms are available with different categories such as deluxe rooms and super deluxe rooms. Regardless of which you choose though, every single one of them comes with the necessities that you will need. These include tables, chairs, cozy beds, TV with cable, free wifi, fridge, tea and coffee maker and showers equipped with hot and cold water. The Goan Village is one of the best among Goa hotels rates near beach, which has several amenities that visitors and guests can partake of. This is the ideal place to hang out with your friends if you enjoy listening to music while having a few drinks. The wide selection of beverages available is another plus for this service. The Goan Village Goa is accessible from its location to distinctive places. If you are traveling in your own car, just look for the right place and good time for traveling to enjoy your best.